A new investment banking facility at Canary Wharf, London. 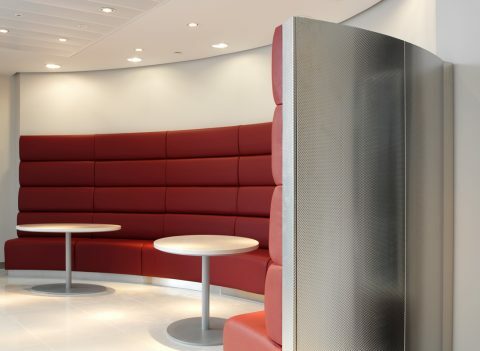 We have recently completed the design and delivery of a prestige environment at Bank of America’s new headquarters at 5 Canada Square in Canary Wharf, London. The scheme incorporates open plan offices, meeting spaces, breakout and retail facilities and associated support spaces, all finished to an exceptional standard reflecting Bank of America’s global corporate image in collaboration with global workspace designers NELSON. Adopting best practice project management skills to reduce lead-in times, and working closely with the bank’s IT, facilities, security and engineering teams, LOM led the successful realisation of a complex space requirement that was completed on time and to budget.